With Middle East problems again dominating the news, the issue of religion’s role in conflict is hotly debated. The decades-old Israeli-Palestinian conflict is deeply-rooted. We see Shiite and Sunni Muslims fighting and killing one another, and recently, Muslims attacking churches in Egypt, Syria, Libya, and Pakistan, blaming Christians for their countries’ problems. Atheists use these examples to condemn all religions and belief systems, citing their conviction there is no God to fight over. The arguments have long ago crossed the borders into the realm of the ridiculous. Since we have already celebrated Foundation Day, perhaps it is time we re-examine our own worldviews so we can be sure we are creating the best framework for the future. Mahatma Gandhi had a worldview that was clear and powerful enough to bring the British Empire to its knees. Yet when asked whether or not he was a Hindu, he replied, “Yes, I am. I am also a Muslim, a Christian, a Buddhist, and a Jew.” His worldview was one of peace and nonviolence, but not appeasement. Thomas Jefferson made a clear distinction between a person’s religion and worldview, saying: “It does me no injury for my neighbor to say there are twenty gods or no God,” and yet he also said, “Enlighten the people generally, and tyranny and oppression of body and mind will vanish like evil spirits at the dawn of day.” The Founding Fathers were extremely diverse in their religious views, but they all united around shared ideals. One thing I learned long ago is that it’s not a person’s religion that makes them who they are. 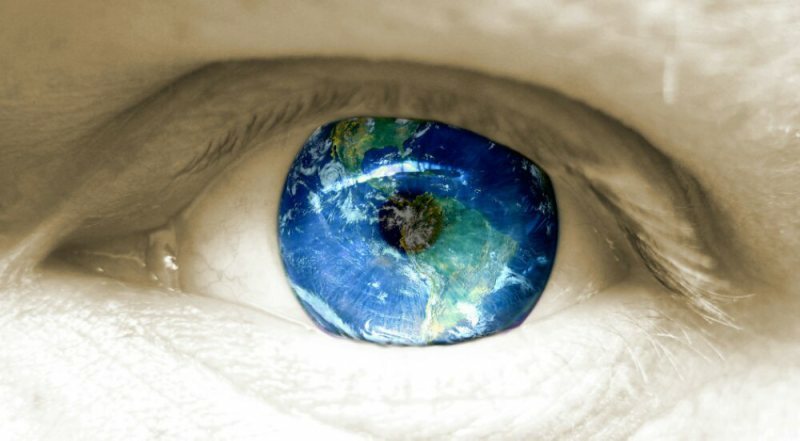 It’s something that goes much deeper: worldview, by which I mean how we each see the world and our place in it. There are the kindest and meanest people within the same religions. The richest and poorest, the most generous and most selfish, the wisest and most ignorant, are all grouped together within the same religion. If a person’s religion were the same as their worldview, then it would hold that all people within the same religion would behave in a similar manner, making their results similar. But the diverse distinctions mentioned above appear within all religions. It would be rude or politically incorrect to say that all or most people within a certain religion have any similar traits. Some might argue that worldview is the same as beliefs, therefore, the same as religion. But although one can certainly affect the other, they still remain distinct in the lifestyle and behavior of most people in the world. The foundation of religion and its impact on the world by those who truly sought to live by their belief in God has brought humankind out of the depths of debauchery into the highest realms ever achieved in civilization. The problem arises when religion is used as a banner or front for people to hide their true intentions. Often there are other motives behind the use of religious differences used to cause conflict. What are people’s true motivations for doing anything they do? Those motives and actions are what truly define character. We have all fought our personal battles within our individual selves as we try to align ourselves with the highest ideals Rev. Moon taught us, but at times, when we look at the larger picture, we see puzzling behaviors that seem beyond our understanding and control. The complexities will only be greater as we try to bring diverse people with totally different frames of reference and cultures together to envision and work towards the same goals. An interesting cultural aspect I learned from spending countless hours watching Korean historical television dramas is that the villains in the story most often don’t consider themselves being in the wrong. Oftentimes, they have very elaborate justifications for their actions without a twinge of conscience. Almost always, a character does not accept his or her culpability or wrongdoing. Even while being dragged off to prison, they shout insults while proclaiming not just their innocence but their own righteousness. It is very rare in these dramas when a person is brought to the point of accepting their own misdeeds and repenting. I believe that Rev. Moon wanted to broaden our worldview, and help us go beyond religion, and unless we understand this, there will always be that tug in our minds that we somehow have to change other people’s religions. Or, we may make the same mistake that some Christian missionaries made in trying to mold people into their culture rather than focusing on sharing the Gospel. 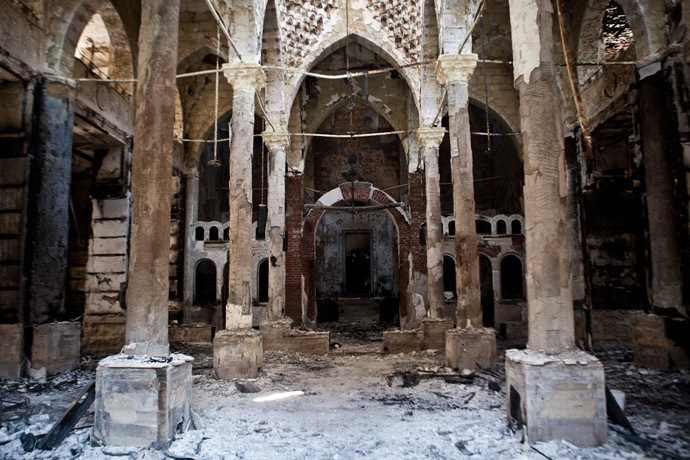 A torched Coptic Church in Egypt. If we can truly respect and honor other faiths and cultures, and serve them and educate them, or as Jefferson said “enlighten the people,” they themselves will be able to discern the value of the Principle. Rev. Moon was always beyond religion. He never wanted to start a separate church but simply wanted to bring a higher level of understanding to people of all faiths. First we must understand that we ourselves need to see beyond religion, culture, etc., to universal truth and values. When we study the founders of the four major religions, many of their basic teachings are similar, as exemplified in our World Scripture books. The danger I see for the future of our Movement is that if we don’t stay focused on the biggest picture, we may end up creating a religion with all the trappings of gold gilt, fancy edifices, and rituals as most religions have done. In contrast, if we can remain focused on the key issues, the goals we seek will follow naturally. This is why Rev. Moon spent so much time practicing Hoon Dok Hae to again teach by example that we need to focus on the truth. Just as Gandhi’s achievements in India were a major influence on Dr. Martin Luther King, Jr., and his work, so by focusing on the words and lives of Rev. and Mrs. Moon and putting those words into action within our personal lives, will have a profound ripple effect upon the world. Maintaining this focus can prevent our getting caught up and distracted by the myriad problems and complications of the Movement. Fifty years ago, Dr. King said in his “I Have a Dream” speech that he hoped one day people would be judged by the content of their character rather than by the color of their skin. My dream is that one day people will be judged by the content of their character rather than by their religion. There is blood shed every day in this world as people give their lives to have the liberty we in America so easily take for granted. The Founding Fathers could not have foreseen how many others would be willing to fight and die for what they have given us. So too it is easy to take for granted what we have received from Rev. Moon teachings, and we may not foresee how someday people also will be willing to give up everything to have what we’ve been given. Kim Barry is a mother of five children who has helped organize women’s healing retreats at UTS and elsewhere. Good article, especially when we’ve experienced a terrible terrorist attack at Westgate here in Kenya. Very inspiring and provoking a very sensitive topic in the world of religion. I think Unificationists are finding a niche in this ideology-less world.